If we are to believe the media then a war between China and Taiwan is inevitable. Incorporating interviews, archives and original research, this book examines the troubled relationship between China, Taiwan and the US, bringing Taiwanese views on identity politics to the forefront of the discussion. Centering on the primary issues facing Taiwan, China and the US, the book analyzes Taiwan’s need to prevent China’s rule suffocating their cherished democracy. It questions whether China will pursue military force to achieve political and economic dominance over Taiwan, and how the US proposes to maintain peace between these two countries to ensure both a continuation of democracy in Taiwan and good relations with China. 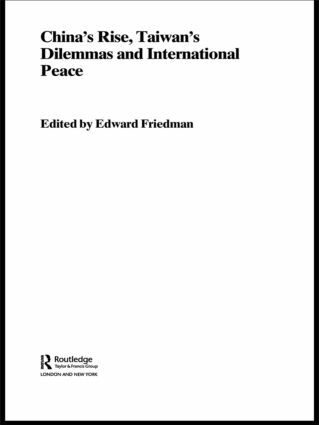 In highlighting these issues, the book seeks to offer practical policy alternatives that could help to advance the cause of freedom and international peace. Featuring chapters from an international group of academics, the book makes a valuable edition to the understanding of Taiwan-China relations within an international context.